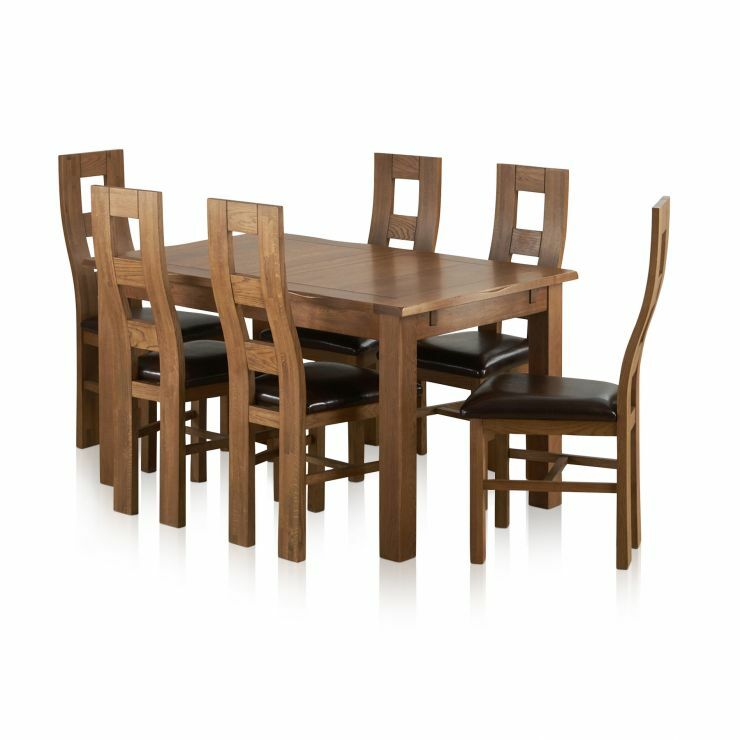 A great dining set for those that need flexibility, featuring our striking Rushmere table in our Rustic Oak finish. 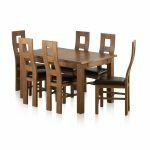 The 4ft 7" extending dining table suits any meal, from the everyday family dinner to larger dinner parties or holiday meals. 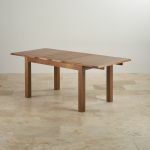 Inspired by cottage design, the table feautres softly rounded edges, and the warm tones of the rustic oak finish help to bring out the depth of the wood grain. 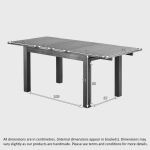 The extending mechanism adds 2ft of extra table space for those larger meals. 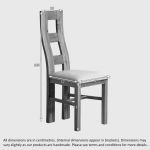 The 6 complementary Wave Back chairs add a softer look to this dining set, specially shaped for excellent lumbar support. 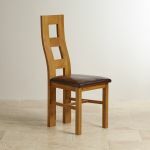 The seat pad is upholstered in brown genuine leather to complete the overall styling. 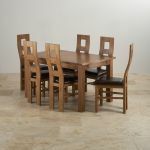 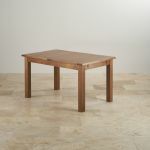 Match your new dining set with any of Rustic Oak furniture to update your room.